We offer an activities pack including: an introduction for the student to the vial conduction, trying to raise awareness of the importance of following the traffic regulations, practicing some activities with maximum security conditions that not only train the student but also boost their self-esteem. Maximum satisfaction of the student when practicing playful activities in a privileged natural area. 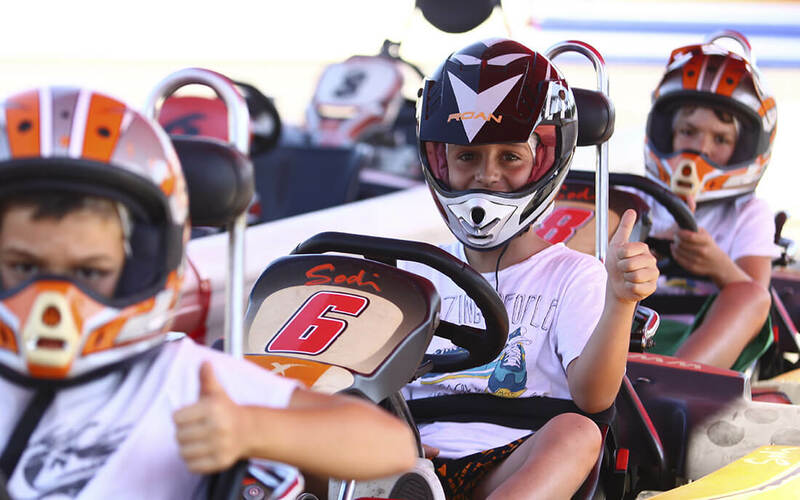 Self – esteem development when feeling able to drive a kart by his self. Welcome of the group by specialized instructors. Road conduction theoretical course with the delivery of a didactic notebook. 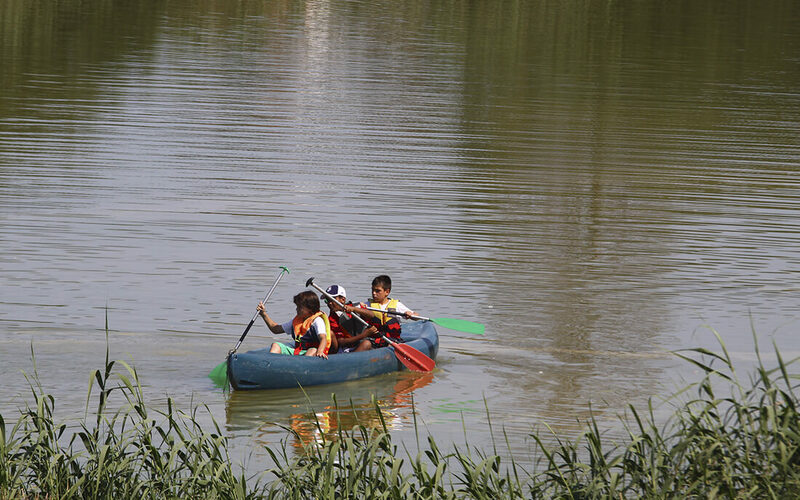 Canoes or mini golf to choose. 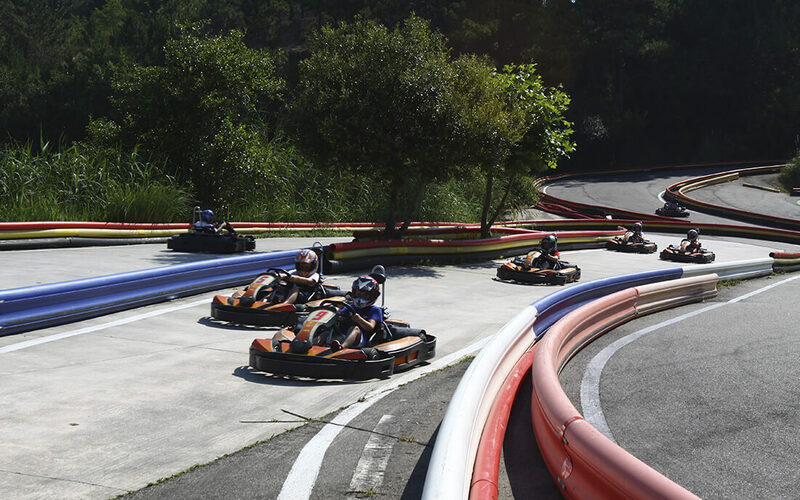 It is a unique sporting offer in Galicia. 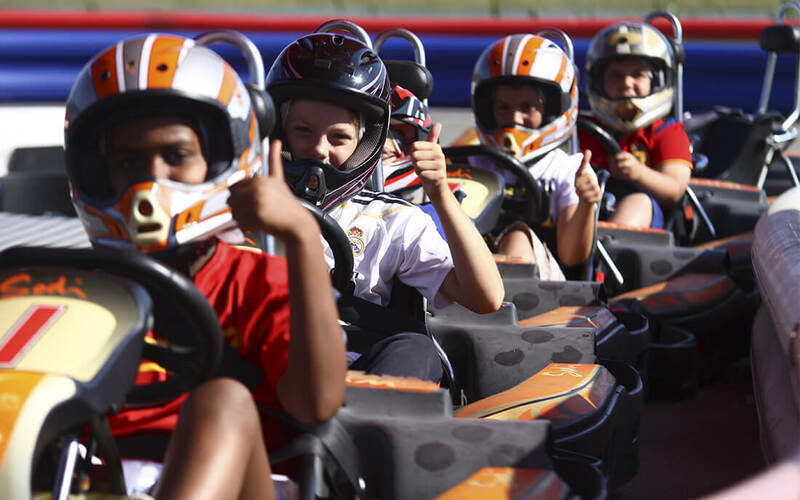 There is a research made by the D.G.T that confirms that more of the 80% of the accidents which happened among people between 18 and 20 could be avoided if they had practised karting when they were younger; this is based in the fact that they react much better to unexpected situations, learning to control the vehicle on extreme situations, all of these in facilities that collect maximum security guaranties. To make a reservation of these services please notify us at least one week before the event.